Frugal Living and Passive Income: Are they Related? On the surface, frugal living perhaps seems it doesn’t really relate that closely to building passive income streams, but in actuality, frugality is very necessary until you reach a certain level of passive income, at which point it doesn’t really matter how much money you spend, or don’t (to some degree….there are limits of course!). If you have $5000 a month coming in, with little to no effort, then spend away! Live it up! The best thing about passive income is that if you keep investing even a little bit of it, you’ll just make more. For example, you can reinvest some dividends each month and then you’ll just get lots more dividends down the road. In order to start up your passive income streams, you’ll have to devote a serious amount of time and energy to the task, which means that you maybe are working part-time, or if you have a full-time job, you’re not putting in the serious effort or overtime and are probably not getting the promotions/raises that you would be otherwise. You’re likely devoting yourself to your online business ventures or are spending a lot of time researching about investing. If you live frugally, you can overcome this because you’re simply spending less than other people and it really doesn’t matter that you’re not making as much as your peers. Bigger and better things to come for you beyond the next raise at work. 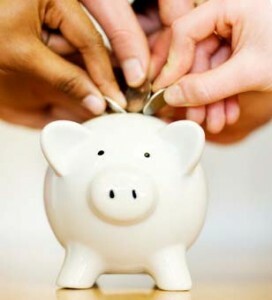 Need More Incentive to Live Frugally? Another reason to live frugally, especially for me is because I use the income from my day-job in order to invest in dividend paying stocks. At this point, this is my biggest passive income stream and my goal is to keep adding at minimum $1000 US/month for the next year or two. $1500 is a reasonable goal, depending on how much OT I work and how little I can spend. More tips for frugal living coming soon! But, readers, please leave a comment and tell me how frugal living and building passive are related in your life. And/or, your best frugal living tip. Freedom Through Passive Income is on Facebook! building passive income, building passive income streams, day job, freedom though passive income, frugal, frugal living, frugal tips, money, passive income, passive income streams, saving money, working day job.